Jose Abadin, DDS (Coral Gables) - Book Appointment Online! 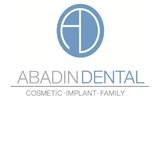 Welcome to the home of Abadin Dental, a Coral Gables, FL dental office that specializes in high-quality family and cosmetic dentistry. From the moment you walk into our office and meet our team, you will realize that we are unlike any other dental care facility you have visited. Dr. Abadin and his team treat patients with caring, five-star service. We strive to provide patients with exceptional dental health, utilizing our expertise and state-of-the-art technology.